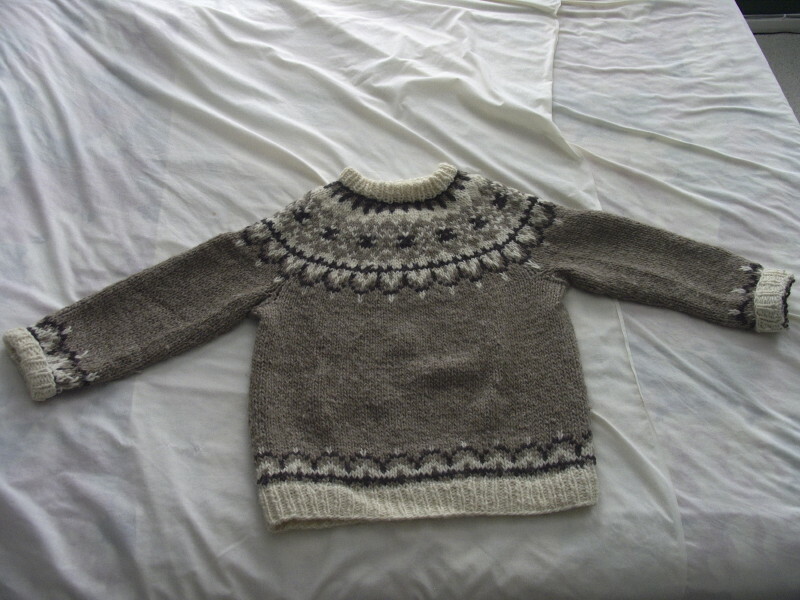 This is the first thing I ever knit. 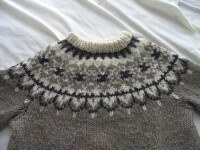 It's a standard "icelandic" patterned yoke sweater, in bulky Lopi wool. 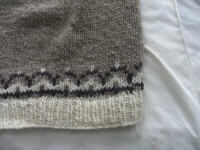 Detail of the yoke of the sweater. And, let's face it -- these sweaters are all about the yoke! Detail of the bottom edge pattern. 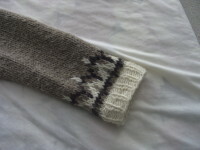 Detail of the wrist pattern.